My work demands that I stay away from my phone and mobile notifications in order to be as productive as possible each day. It’s not unusual to find me at my desk for a total 12 hours a day (I work remotely), with four hours going to browsing the internet. As I sniff around, Instagram Web is open constantly, with a visit rate of 2.4 percent of my daily hours. I don’t think this is just me, because in the U.S. alone, 17 percent of Instagram traffic comes from desktops. As an engineer, I have a tendency to try to improve a tool (productivity or fun) I use everyday. For me, it is Instagram. 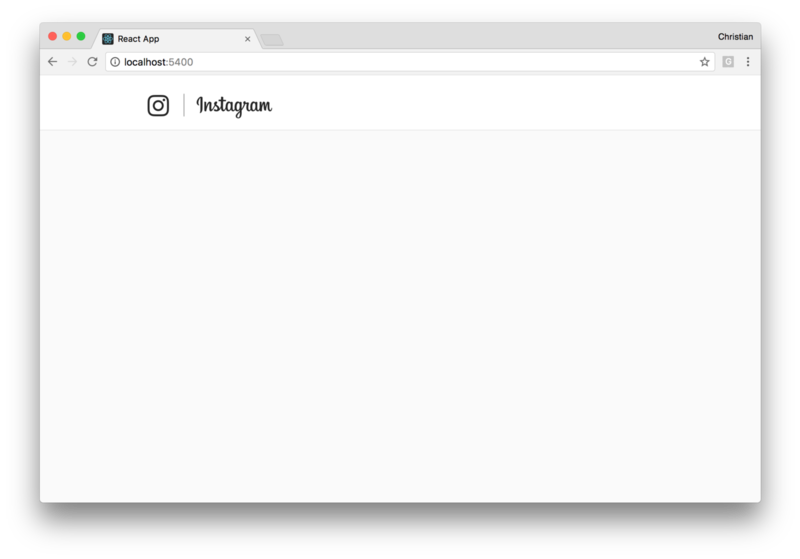 So, I assembled a list of possible Instagram Web improvements I can work on, built a simple Instagram clone, then improved on those points. In this article, I’ll talk more about what I’ve done, and you might even see more room for improvements. Scroll to Play: I keep asking myself why this is not a feature on the web, yet it is on mobile. After a long session using scrolling infinitely on Instagram mobile, I forget that you have to click a video on Instagram Web before it plays. Most time, I just wait thinking my network has slowed down again until I snap back. 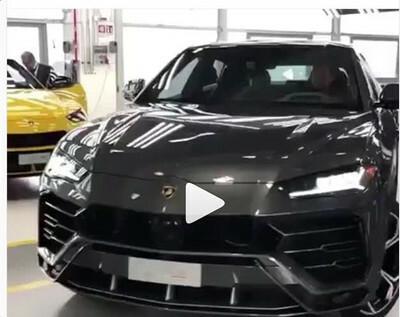 What exact reason is Instagram Web refusing to play videos? Who knows? Hover to Mute and Unmute: Yeah, I can afford a hover you know? I am on a desktop, not a mobile phone. A hover event is my well-earned right for buying a large computer. 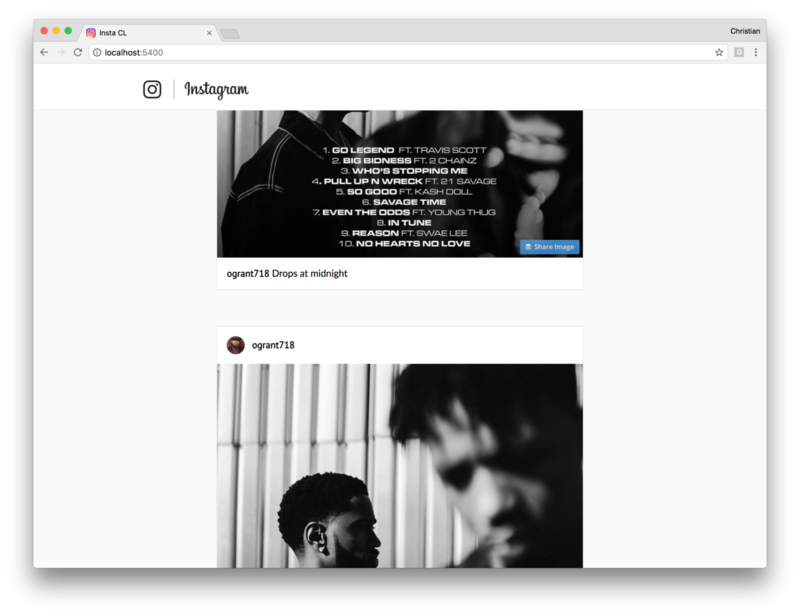 Why not utilize it, Instagram Web? Oh yes, I can click to play and pause — I know that. But what if I want the videos to play without a sound? Hover could do that well. Progressive Image Loading: We all know that images are optimized and the web app probably uses resolution switching to serve the best image resolution for a browser view port. I live in Africa where slow 3G is a norm, so instead of slashing that grey background at users on a poor network, maybe you can borrow some ideas from Medium and load the images progressively. Of course I don’t have a lot of time, so I can’t imagine building some of these features from scratch. Oh, unless you’re paying me…then we can talk. What I intend to do is use a third-party service - Cloudinary - that solves most of these problems. Cloudinary is an end-to-end, cloud-based media management solution. It offers media (images and videos) storage, transformation and delivery. We need a simple data persistence mechanism to store a list of posts. Each post would have the basic requirements, including nickname, avatar, caption and post media url. We can use file storage on a server to keep the posts as JSON files and read and write from them. I am using the express instance to handle a post request using the post instance method. When the request comes in, and the URL matches http://localhost:8070/posts, the callback function passed to this instance method is called. The route just assembles the data received from the client, stores it and sends it back to the client as a confirmation that the persisting process was successful. In addition to returning a queried list of posts, we also get the total number of posts and send it to the client. This would enable the client implement features like pagination or infinite scroll. This commit history has the styles, so you can create Post.css in the same root as index.js and add the styles. We can’t have just a single post, we need a list of them. Let’s get to that! Next, use the componentDidMount lifecycle method to hook-in and make the Ajax request once the React component is read. The axios request returns a promise, which, when resolved, has a payload of posts. You can update the state once the promise is resolved. 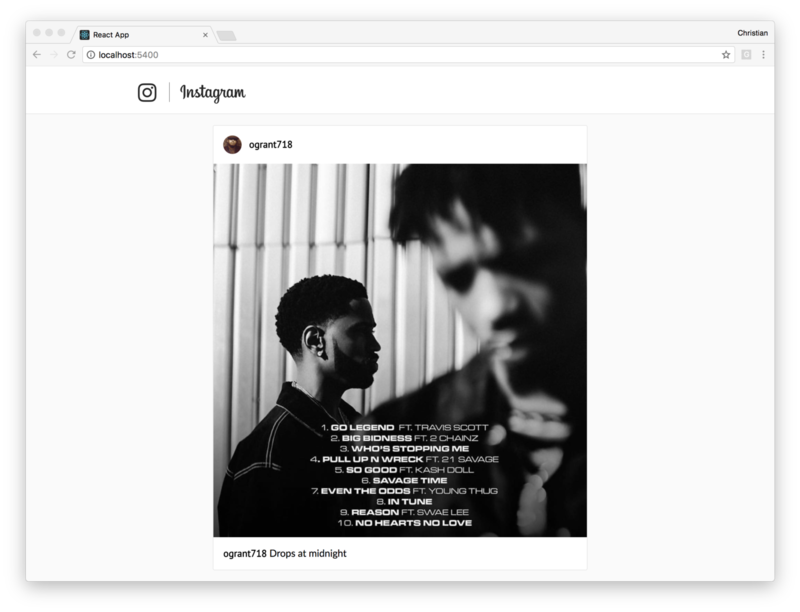 Remember Instagram supports two kinds of posts — images and videos. The isVideo method checks if the URL is a video and then uses the video tag to display it. For everything else, it uses the image tag. Notice the component has been updated from functional to class. We need to maintain internal state with instance properties to keep track of things. When you define width and height dimensions for an image or a video, you are not certain if the user adheres to your instructions and upload that dimension. In fact, a social network app would hardly recommend a dimension. Instead, it would accept whatever dimension the user sends and try as much as possible to make it fit into a design. Assuming we define a strict width and height of 687px for the image and video, you may end up getting poorly scaled contents. With Cloudinary transformations, we can intelligently adapt the content in a way that it retains quality and we have consistence dimension. It takes the publicID and an optional transformation/configuration object. The images now have defined width and height and any image that doesn’t fit is padded. The flags value, progressive:steep loads a poor quality as fast as possible and then progressively updates the image with a higher quality image until it reaches a reasonable stage. Setting quality to auto enables the image to continue optimizing as long as the optimization is lossless (quality doesn’t drop). When you scroll, the event is fired, and it checks if the bottom of the page is visible before loading posts. It also checks if the fetching instance variable is false (it’s set to true when a request is going on). Finally, it checks if there are more posts that the server needs to send. I made this prototype clone in a day — in fact, while waiting for a delayed flight. However, such a quick turnaround would not have been the case if I had chosen the route of implementing the whole transformation and video features myself. Cloudinary does that for you, so you can focus more on writing business-specific code and not utility logics. Let me know your thoughts in the comments section below.